In PUBG Mobile, zombies will begin to roam the fields of the popular battle royale shooter. 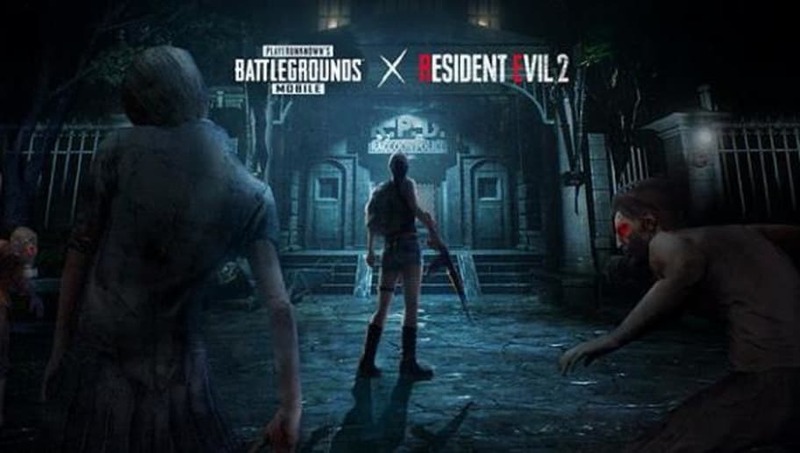 The mobile game announced that it will be collaborating with the remake of Capcom's Resident Evil 2 to introduce an event in update 0.11.0 that will populate the game world with A-controlled zombie enemies. ​PUBG Mobile's zombies will be in the new Resident Evil 2: Sunset game mode. In this limited-time event, players will follow the normal PlayerUnknown's Battlegrounds experience except that zombies will spawn on the Erangel map and act as hostile enemies. Additionally, boss enemies from Resident Evil 2 will be part of the horde that comes towards players in the waves of zombies. Players must gather supplies from the map or by felling these bosses to stay ahead of the undead mob and each other in order to become the last man standing and win the mode. With the patch 0.11.0, Resident Evil 2 main menu theme and music will be added to the game. Other changes will be the addition of moonlight to the Vikendi map's night mode, as well as the addition of personal Spaces, where player information and connections will be displayed. In these spaces, players will be able to place friends with Synergy 400 or above as partners. The update does not yet have an official release date but fans anticipate a patch on Feb 10.